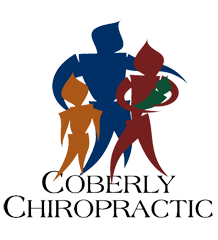 How Chiropractic Helps Those That Suffer from Temporomandibular Joint Disorder – Coberly Chiropractic, Inc.
Temporomandibular Joint Disorder, or TMJ, is a common condition that affects the jaw. It can be extremely painful and many people are turning to methods other than medication or surgery to relieve that pain. While lifestyle changes such as diet may help, chiropractic care has been cited as a viable treatment for TMJ pain. At first, this may seem counter-intuitive simply because it is widely believed that chiropractors only treat the spine and neck. This commonly held belif is not entirely accurate. Chiropractors treat all joints, including the spine and neck. A chiropractor may treat ankles, wrists, knees, and, yes, even the jaw. Sometimes the neck and spine can be contributing factors and they can be treated with chiropractic care as well. The joint that connects your jaw to your skull and allows you to open and close your mouth is the temporomandibular joint. When you have problems with the muscles or joint in that area it is called TMJ, or more accurately temporomandibular disorders, or TMD. This disorder is characterized by pain and stiffness on one or both sides of the jaw. The jaw may also lock or get stuck in either a closed or open position. Patients may also notice a popping, clicking, or grating sound in the jaw when chewing, yawning, or when closing or opening their mouth. They may also have trouble chewing and even experience swelling. Many conditions can mimic the symptoms of TMD. 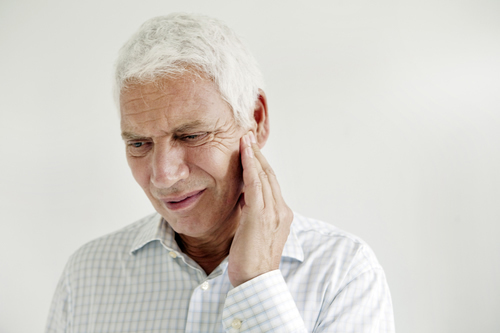 After taking a medical history, your doctor will check the joints in the jaw for popping, clicking, or grating sounds. He will also assess the patient’s pain or tenderness level and check for any stiffness. During the exam, the doctor will assess the job and its ability to function properly. X-rays may also be a part of the examination. If the doctor can pinpoint the probable cause of the TMJ, he may prescribe certain treatments or make recommendations that will help. Medication is one option, mainly stress or anti-anxiety medication to help the patient relax. A night guard or splint is another option. It helps to put the patient’s teeth in the correct position. A splint is worn all the time and a night guard is worn only at night. Dental work is another option and in come more serious cases, surgery. Chiropractic for TMJ is not only common, but very effective. The chiropractor may perform neck or spine adjustment as well as adjustments to the jaw. This means that the patient may experience pressure on their skull, jaw, upper spine, or neck as the chiropractor treat the condition. There are also soft tissue treatments that the chiropractor may perform during the course of treatment for TMJ. The chiropractor will often recommend lifestyle and diet changes to patients. This offers the patient the opportunity to treat the whole body as opposed to just one area. They may apply cold packs or heat packs to the area, recommend supplements, and teach the exercises designed to lessen the pain and encourage healing. Chiropractic is a safe, effective, and non-invasive treatment for TMJ. So if you or a loved one have been diagnosed with TMD and/or are experiencing TMJ pain, give us a call. Our Doctor of Chiropractic is here to help!